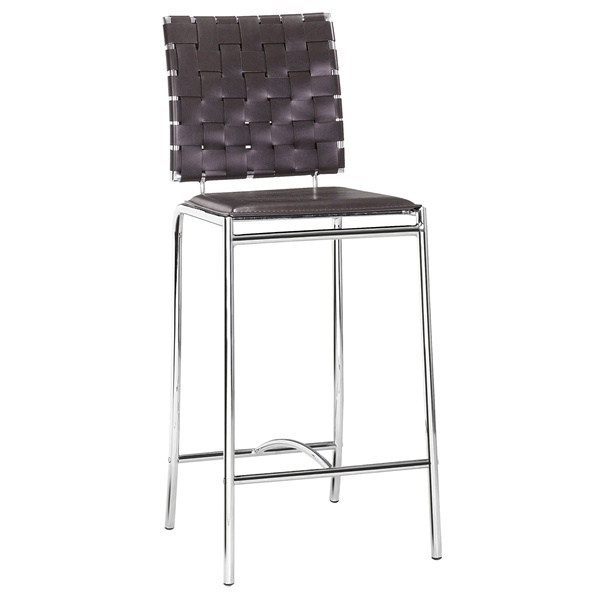 The Zuo Counter Stool is an ideal combination of strength, comfortable seating, and style. The contrast of shining, tubular steel frame with basket woven seat and back is a classic that dates to the design revolution of the mid 1900s, and has been cool and appealing ever since. Dress up your kitchen counter with these slim-contoured but very durable stools. The steel legs are braced with an arched stretcher, and the supportive, flexible basket weave is made of faux leather strips in a range of great tones, to complement just about any color scheme.